We offer an active OOC community, a dedicated staff and IC world like no other that's just waiting to immerse your CAW in its uniqueness. WWE: Catastrophe is an E-Federation which opened in March of 2009. It has two very experienced owners, and some great gfx. All this goes along with some of the best e-fedders around today! Join WWE: Catastrophe today! Universal Wrestling Entertainment is set to open this month. We hope that you will have a great efedding experiance as he have such staff as me Sterling, Bear, Adz, Nate Dogg, Misa, Lady Calculus and Trish b. Please join, we will not let you down! Brand new e-fed. Currently accepting reserves with plenty of big names left! WWE No Turning Back is a new fed and is a WWE based fed. It is a fed that will be opening soon, so keep checking back and you will notice when it is open. WWE No Turning back is new so it will be up to the people who join to judge it for themselves. We are strictly a promo based company (e-fed) and at this time we aren't accepting caw's but as we grow they will become available. Target opening date is October 1st, 2014... Reserve Today!. 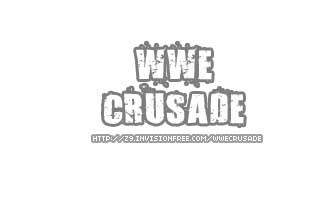 JOIN THE CRUSADE TO MAKE THE BEST EFED ON THE NET, THE TIME IS NOW SO TAKE ACTION!!! WELCOME ALL TO THE PLACE WHERE YOU CAN LIVE YOUR DREAMS AND BECOME A SUPERSTAR OF THE WORLD WRESTLING ENTERAINMENT. A FED RUN BY A NUMBER OF VERY EXPERIENCED PEOPLE, THIS IS WERE LEGENDS ARE BORN! newest efed on the block, taking reservations now!